Have you ever come out of a meeting with your child’s IEP (Individualized Education Program) team or a medical professional and felt like the experience was seared into your brain? You call a friend and can repeat the conversation verbatim where they told you why they can’t help your kid. You think you will never forget what happened or what was said, but you will. Memory is a complex thing, and with all the things we Solo Moms have to organize, plan, execute, and adjust, it’s a wonder we can remember to brush our teeth. As the years march on, the past gets twisted on itself and we (or at least I) struggle to remember if something happened to my child in third or fourth grade . . . or was that the other kid? When you have a child with special needs, keeping good records of data, evaluations, meetings, and plans is critical. I know it’s one more thing on an already full plate but if you set it up once and keep it current, you can prevent problems, validate your concerns, and provide your expertise along the way. 2. Recording evidence. Unfortunately, it’s too common to have conflicts with IEP teams, insurance companies, and medical professionals. By having records of phone calls, e-mails, IEPs, etc., you have the same (or better) data as whoever you are working with. You can cite dates, times, agreements, whatever is needed. And if you ever have to file a special education or civil right complaint, it will be critical to have dated records of every hallway conversation and e-mail sent. The more heated a dispute is, the more important it is to put everything in writing. 3. Validating what was said. Another common issues is the “he said, she said” dilemma. Parents, especially Solo Moms, rarely win that argument—it’s always the school or doctor. By having detailed notes of what was said with dates and times, your voice will pack more punch. If you are starting down a path of dispute, I strongly encourage you to record all meetings. Tell them you are recording and offer to send it to them. It’s easy, these days, to have both sides record on smartphones. Then when they claim, “I never said that,” you can share the recording and the transcript. Keeping records also helps when you think IEP goals are not evolving. If you can pull out an IEP from four years ago and show the team that the same goals are listed and there hasn’t been progress, you can ask for a new approach and avoid conversations that go around and around. 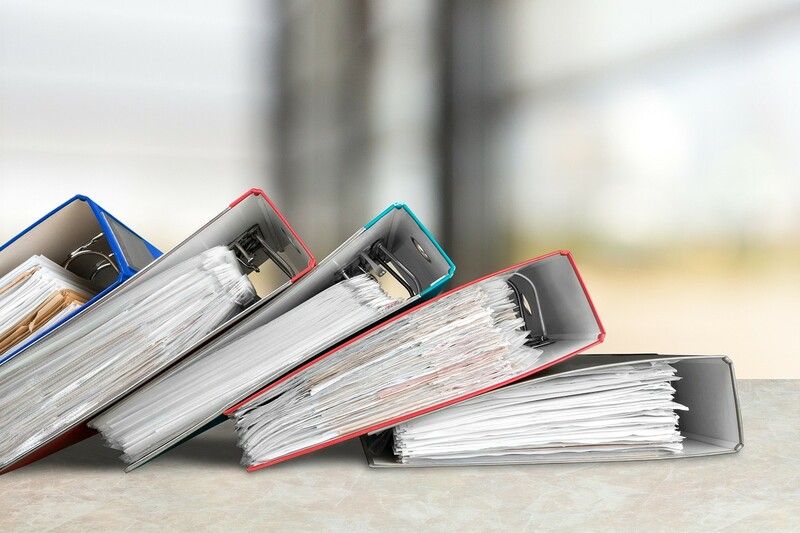 The simplest way to organize is to get a binder, put in tabs, and organize with the most current information in front. I also suggest putting a current picture of your child in the sleeve on the binder cover. Too often, adults talk about what they can and cannot do and forget that there is a child at the center of their debate. A picture is a tangible reminder of why you are meeting. 8. Letters from doctors, therapists, etc. Keep a log if you are dealing with a school team that says your kid is making progress, but you know it’s because of the hours you or your paid tutor spend helping your kid with homework; if the team says he/she doesn’t need an IEP; or if the team is not making the accommodations documented on their 504 plan. Your child’s emotional state before and after school (stomachaches, headaches, meltdowns, tears, etc.). Homework attempted and completed and exactly how long it took, any issues, number of breaks, and if it required an adult to complete. Bedtime and sleep issues (record complaints, school issues, emotional needs, how much sleep your child really gets, nightmares, etc.). A detailed log can also help doctors and therapists working with your child to create a complete picture of his/her needs. Record-keeping isn’t fun for most of us, but it is something that can truly help our children. A binder is the simplest to work with and has visual impact at meetings. But sites such as The Center for Children with Special Needs may work best for kids with a lot of medical issues. And for situations that might become litigious, Wright’s Law has some templates and lists that may help you. Start with the stack of IEPs and other paperwork, and build your binder of records for your child. You’ll be glad you have it!